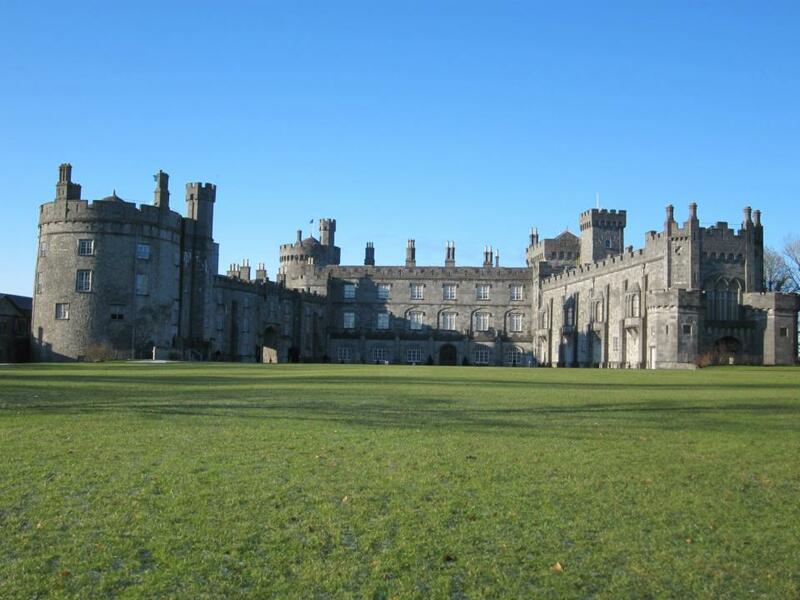 Kilkenny, only 90 minutes south of Dublin has been voted one of the friendliest cities in the world. 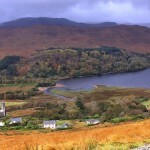 It was also Ireland’s tidiest town in 2014. No wonder. Locals talked to us nonstop about nothing and everything and I never saw a stray ice cream wrapper or a crumpled greasy chip bag during my stay in this beautiful medieval masterpiece along the ‘Ancient East’ route. 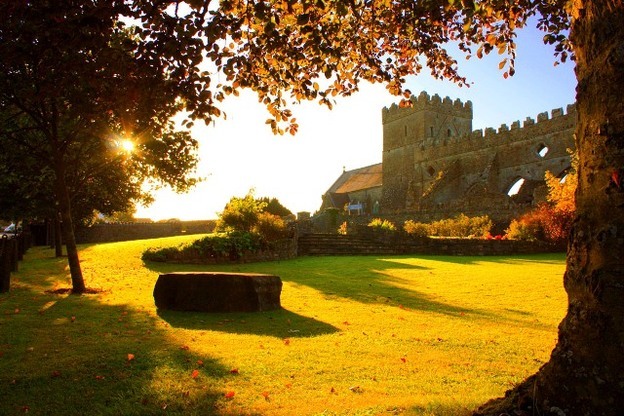 Once the medieval capital of Ireland you can sense, smell and experience the interesting history of Ireland’s smallest city wandering through a maze of cobbled streets past ancient buildings along the so called ‘ Medieval Mile’ stretching from imposing Kilkenny Castle in the east to St Canice’s Cathedral in the west. 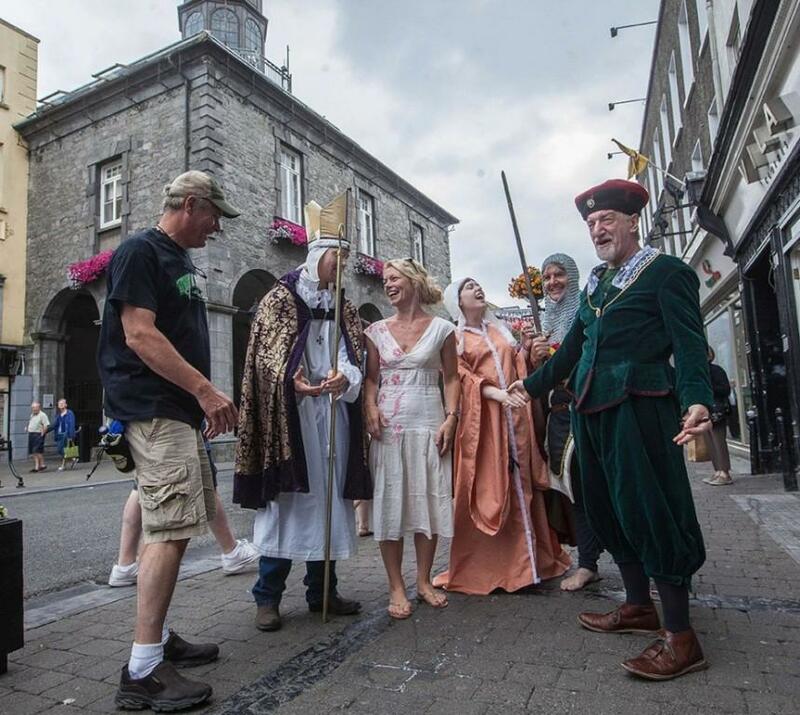 We arrived to find Kilkenny immersed in the annual arts festival – such events occur all through the year in Ireland -any excuse to get out, have fun and entice the world to visit. Its streets were filled with tourists and strolling actors, artists and busking musicians, paintings for sale, crafts galore and to crown it all fabulous weather. There is no better way to get your bearings in Kilkenny than to take a walking tour, in my case with a knowledgeable local historian History teacher Pat Tynan knows his home town intimately guiding me back through the centuries via atmospheric narrow lanes, steps and pedestrian passageways to sample some medieval magic. We stop at the Shee Alms House. One of Kilkenny’s prominent merchants Richard Shee bequeathed the alms house for the poor declaring that if any of his descendents dared sell it they would be cursed forever. 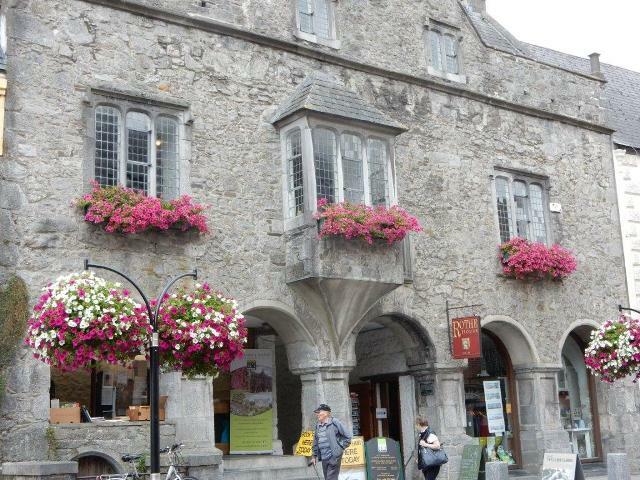 The building houses Kilkenny Tourist Office on the corner of Rose Inn Street and Mary’s Lane. 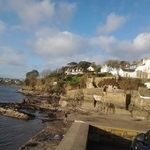 Nowadays in place of bread and water and a bed for the penniless helpful ladies dispense sheaves of visitor guides, useful traveller tips and arrange accommodation through the www.discoverireland.ie network. Kilkenny is famous for authentic pubs, many of them ringing out with traditional music day and night. You can even come and learn to play Ireland’s native drum the Bodhran at Kyteler’s Inn on Kieran street. Not surprisingly the city on the river Nore is a magnet for Stag excursions and escapades. Predictably things sometimes hot up in the wee hours after the clubs shut. Back in the day (1700+) Mayor Blunt of Kilkenny held no truck with ‘rowdies’ installing a spinning cage in which those who had crossed the line were imprisoned to cool their heels. Locals annoyed by loud noise or other anti social antics could amuse themselves by spinning these cage dwellers around, Pat Tynan explains pointing out the site. Further on we view the grim exterior of the city jail beneath the courthouse. In olden times you could serve up to four years here for stealing a loaf of bread, records show. Ireland’s most famous witch Alice Kyteler worked her magic here in Kilkenny and you can make the acquaintance of her effigy and history by darkening the door of her former home dating from the 1300’s now famous Kytelers Inn in the centre of town. Another must see is 12th century Kilkenny Castle, remodelled in Victorian days set in beautiful parklands that you can explore for free. Across the road is Kilkenny national craft gallery reputedly the country’s hub of creativity for contemporary craft and design that brings together the best and brightest talent. I wandered across the courtyard browsing in galleries and craft shops, admiring jewellery, art and pottery exhibitions during arts week. 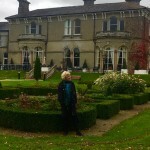 Entering the magical Butler House gardens I came upon some stunning kaleidoscopic mosaic tables suitable for indoors or your patio by Judith Ashton Mosaics of Carrickmourne, . I ended up buying a coffee table of bring red, yellow and gold mosaics with some blue glass encrusted stones fit for a Sultan’s palace! Having to return to Kilkenny a few days later to pick it up was a bonus! 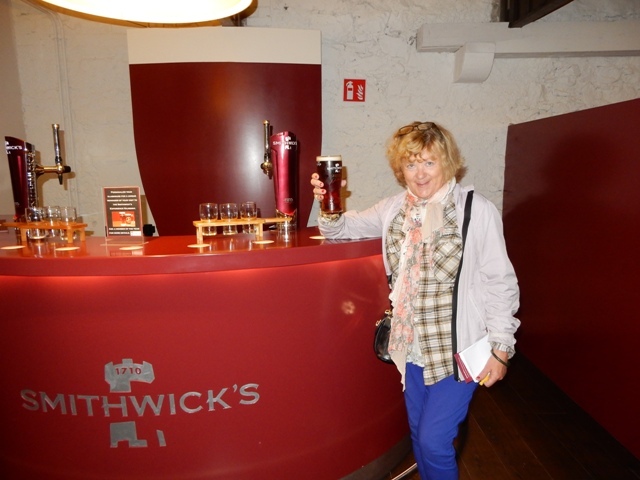 Among Kilkenny’s notable recent attractions is the Smithwicks Experience on Parliament Street open all year and chosen by Lonely Planet as number four in its top 26 hot new world attractions for 2015. Located in the original Victorian Brewing building visitors are treated to a multi sensory and interactive experience of what life was like when the monks of St Frances Abbey started brewing here back in the 1300s up until the present day. There are talking portraits with successive generations of the Smithwick family describing their life and times and at the end you savour a refreshing pint of Kilkenny’s signature ale in the cosy wood panelled bar . So what else is there to discover here? Kilkenny city tours operates a little train with commentary departing every hour from Kilkenny Castle that covers most attractions. Shopping for one of a kind fashion items and crafts and a strong foodie scene ith a diverse range of cafes and restaurants specialising in local produce completes the picture.From casual to Michelin star dining Kilkenny has it all. Langtons on John Street, where you can take afternoon tea or sink pints of Smithwicks is a Kilkenny institution. Though I had no time left to try it Zuni on Patrick Street was recommended for inventive casual cuisine and deadly tapas. We ate at Rinuccini across from Kilkenny Castle with tables on several levels. Italian waiters in dinner jackets buzzed around, food and ambience reminiscent of Soho in the old days when restaurants rested on their laurels. I ordered the evening speciality of mixed seafood and pasta but was a different dish – prawns with lots of linguini arrived. 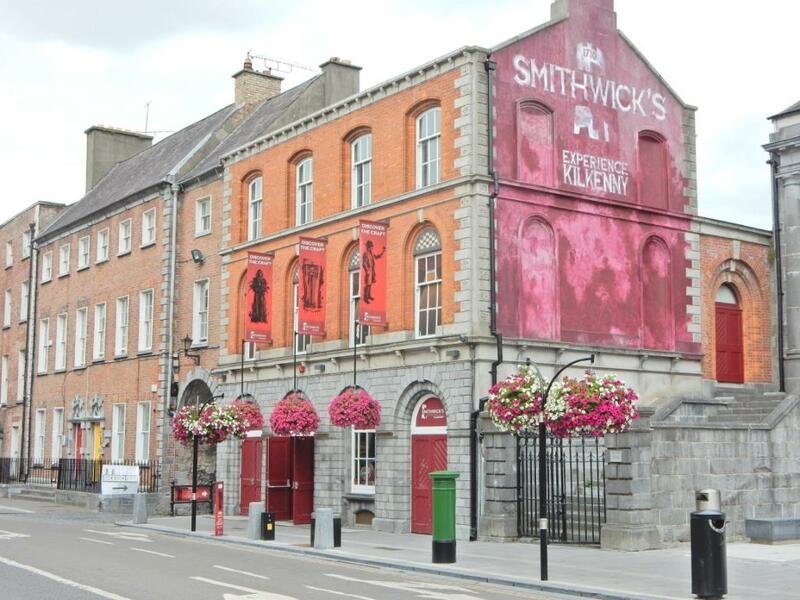 Threading the slipways and penetrating the little hidden laneways leading to impressive Rothe House, a late 16th century merchant’s mansion where genealogical research on Kilkenny ancestry is available and the Smithwick’s Experience were highlights. 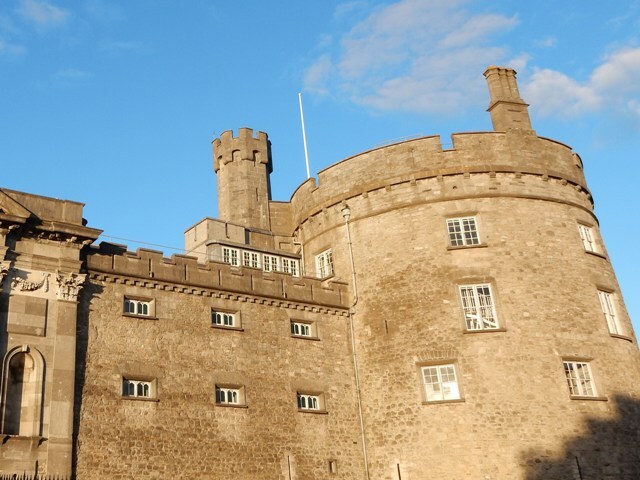 You might make Kilkenny a base for a couple of days venturing out to surrounding towns,returning in the evening to eat and enjoy its nightlife. Local highlight towns include Bennettsbridge just 9 kms south of Kilkenny city, renowned for craft and design with Nicholas Mosse Pottery in the village. Another must see is Thomastown, dating back to the early 13th century, sacked later by Cromwell but with many interesting ruins remaining. Also worth a visit is sleepy Inistioge, beloved as a movie and tv location set deep among the rolling hills of the Nore valley. We stayed at comfortable Kilkenny Ormonde Hotel steps away from restaurants, shops and vibrant unique pubs playing live music. The hotel has also has its own leisure club and spa and a convenient parking garage for guests. Where can I find more on Kilkenny? Getting to Kilkenny: Beat the traffic jams and fly direct into Waterford regional airport or sail in to Rosslare Europort. With Ireland’s new motorway network in place Kilkenny is now less than 90 minutes from Dublin by car or bus. Or you can take the train into the heart of the city.